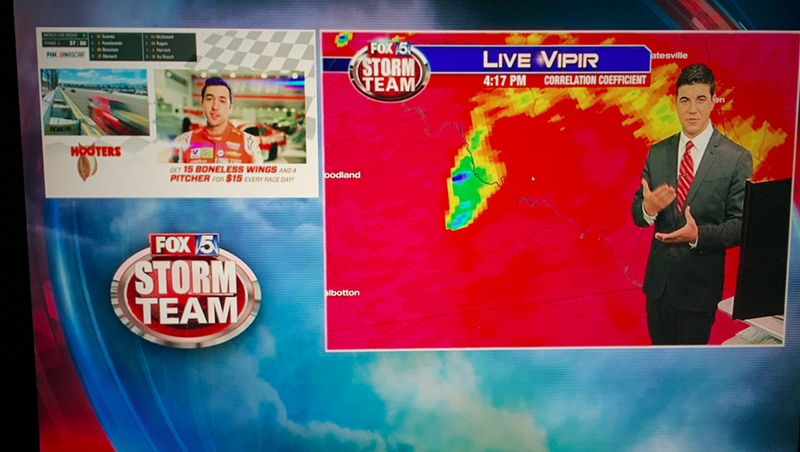 WAGA, the Fox O&O in Atlanta, was covering severe weather in the region Sunday, March 3, 2019 and opted use use the two box format to split-screen its network’s NASCAR coverage and local weather updates. 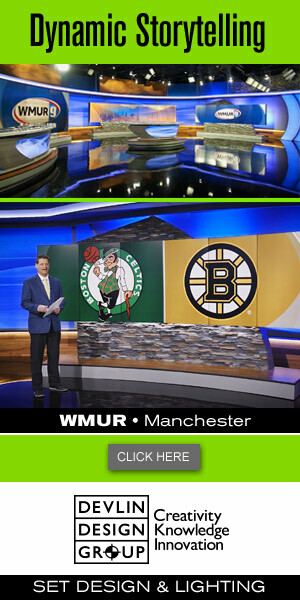 Things got interesting when the network switched to a sponsored commercial break — featuring its own box layout. The network’s feed featured two distinct boxes — but also featured additional text information and a logo of sponsor Hooters. In other words — it was a bunch of boxes inside of a two box.